In 1992 the team that was putting together Disney’s traditional animated features were riding a wave of popularity that was unprecedented, and would eventually see the company spearhead the next generation of animated films that continues today. But there was a single decision that they made in a casting room that took the future of voice acting in a direction that is loved by some and loathed by others (particularly voice actors). The Little Mermaid had been a huge success, raking in over $200m at the box office and marking somewhat of a triumphant return for the Disney studio. It was the first time since The Jungle Book 22 years earlier that a Disney animated film had done that well commercially. The following years film – The Rescuers Down Under*- was very disappointing in comparison taking in only 10% of the box office sales that the Little Mermaid did. Luckily Disney had already doubled down on their European fairy tales and were set to release Beauty and the Beast in 1991. That film did amazingly well and set new box office records for an animated film, grossing almost $425m. The question was, could Disney maintain this momentum and create another golden age for the studio. The next bullet in the chamber was Aladdin. A movie set in a fictitious Middle Eastern city in the middle of the Gulf War. It was nothing if not brave. But the movie had an ace up its sleeve. 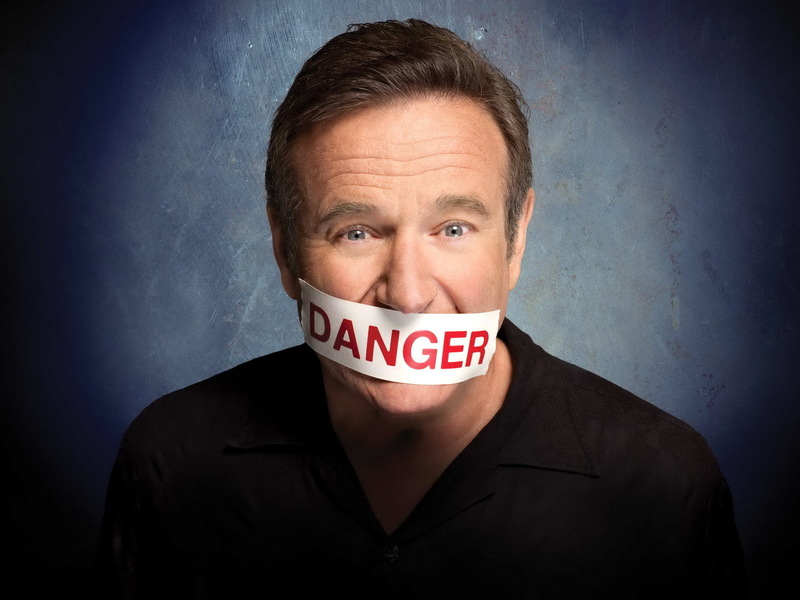 The part of the Genie had been written specifically for Robin Williams, which was a big swing from a studio that wanted to take one to really solidify their status as the undisputed animated film kings. If he were to take the role, it would be the first time that an A List movie star had taken on such a role in an animated feature (with all due respect to Jerry Orbach and Angela Landsbury obviously!) 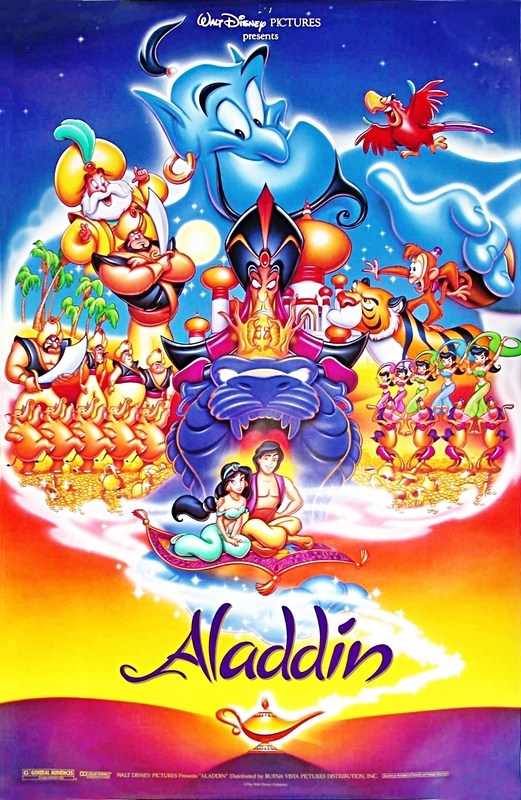 The part was larger than life, and while technically a supporting role (it is called Aladdin after all), it was essentially the lifeblood of the entire film. It seems an odd and selfless request, but it also had to do with the fact that he had a competing movie (the heavily derided Toys) coming out within a month of the release date for Aladdin. In Toys he was the undisputed star and given how much his name was a draw at the time, it was beneficial to that film to be the only one with his name and image splashed all over the advertising. *** The other stipulation was that Robin believed that the voice of the Genie was his intellectual property. He didn’t want it imitated in any possible future straight to DVD releases (which he would not be part of). He obviously knew that he would make the part his own and didn’t want a cheap knockoff of the character to ruin everything. The good news is that Disney agreed to the conditions. The bad news is that they broke each and every one of them. It caused a bitter fallout between Williams and the studio, that wasn’t fully resolved for over 15 years. It was a decision that the studio obviously decided they could live with, and given that the film grossed over $500m at the box office and took the mantle of the most successful animated feature of all time, I am certain they felt as though they made the right decision. So the bean counters at Disney obviously realised the significant impact that a famous name could have on the box office draw, they went all out and septupled down on famous names. Jeremy Irons, James Earl Jones, Matthew Broderick, Jonathan Taylor Thomas, Whoopi Goldberg, Rowan Atkinson and Nathan Lane all had parts in Disney’s next feature – The Lion King. It was uncommon enough for Robin Williams to be in Aladdin that having that many names in an animated film was quite simply unheard of. But Robin opened the door. His career didn’t take a hit and he won multiple awards for his work, further increasing his popularity. In reality, the ‘big names’ from the Lion King, were popular in their time, but for the most part they weren’t really A-List like Robin Williams. They were stars for sure, and WAY more well-known than any voice actors that they took the jobs from, but they weren’t knocking on Oscar’s door every other year with realistic shots at the biggest prize in the industry. Williams opened the door for these people to give it a shot, and it was the success of that ensemble cast of celebrities that flung the doors wide open, and kept them there. Now, it seemingly didn’t hurt that the music and soundtrack in The Lion King were spectacular, the visuals were stunning and ground-breaking at the time, and that the opening scene is 3 minutes and 48 seconds of utter perfection – but the film made $987 million at the box office alone. For the third consecutive time Disney had shattered their own record for the highest grossing animated feature^^ and this time they had taken it to a place that nobody thought was even possible. At the time, it was not just the highest grossing animated feature, it was the all-time second highest grossing film of ANY KIND behind only the mammoth of Jurassic Park. Back then, cartoons just didn’t make that kind of money. Not even close. But until that time, animation was for kids. The Lion King showed that it was for everyone. The celebrity voices, rightly or wrongly, were credited with taking it there. There was no chance that any other feature in the works would top The Lion King; and there was even less chance that Disney were releasing another one without a star. Pocahontas had pre-racist Mel Gibson and Billy Connolly and did well. Toy Story had Tom Hanks and Tim Allen (and everyone else) and did well enough at the box office – though not as well as I expected when you consider the cultural phenomenon that it has become. The Hunchback of Notre Dame had Demi Moore and Kevin Kline. Mulan had Eddie Murphy and any even mildly famous Asian actor. I think you get the picture. In the meantime, the new era of animated films had been ushered in, beginning with the aforementioned Toy Story. Computer Animation burst onto the scene thanks to the Disney subsidiary Pixar, who led their field and their style took the world by storm. I can’t even begin to get into how much it changed the animation game without getting side-tracked from the article at hand, but it essentially ruined the traditional animated feature film. It made them look old fashioned and dull. It was like watching something on a black and white television instead of a flat screen HD television. But I digress. The first issue with the celebrity voices was that almost all of them were essentially playing themselves. Voice acting is a skill, and one that is still used extensively in Television animation, but these people weren’t voice acting. There were no wild characterisations and no over the top vocal gymnastics. In Monsters Inc, Billy Crystal sounded like Billy Crystal. In Antz, Woody Allen, sounded like Woody Allen. In Finding Nemo, Ellen sounded like Ellen. Not being a voice actor myself, I can’t tell you with 100% certainty, but I think this was one of the biggest thorns in the side of the people whose jobs these celebrities were taking. The value of their specialty had been made redundant. People were coming to hear Will Smith, Owen Wilson and Ben Stiller all be themselves. There were exceptions of course. Mike Myers not only put on a voice, but a Scottish accent to play Shrek and Steve Carrell is almost unrecognisable in Despicable Me, but these examples are few and far between. The celebrity obsession in animated films has gone so far that an absolute, all time A-lister like Brad Pitt accepted a 5th billed role to be in Megamind – a film that really isn’t that great. In fact try and name 3 A-List actors that have never voiced a character in an animated feature… I’ll wait. Ok I won’t wait. There are some, but not many. The real problem though is that the studios got lazy. They never realised that it wasn’t just the celebrity names that made these films. The Lion King a fantastic film. Toy Story and its subsequent sequels are all phenomenal. Finding Nemo is a brilliant adventure. The celebrity voices took these great stories to a wider audience and that is where the money came in. But it didn’t take long until the celebrity was the movie. Lazy writing was glossed over with stunt casting. The movies still made money (which at the end of the day is all that the studios REALLY care about) but they didn’t blow anyone’s socks off by any human measure. The focus shifted from a good script (and this is not exclusive to animation) to who was in the movie. Eventually studios with once strong reputations like Dreamworks started to lose the prestige they once had. Even Pixar has lost a bit of its lustre over the last few years with sequel after sequel simply looking to cash in rather than push the boundaries like the company initially did. But there is hope. An over saturation has seen it at least take the first step towards tilting back to the TV stars now over Film stars. It’s a start. Disney’s next due feature – Big Hero 6^^^ – features Scott Adsit of 30 Rock, Damon Wayans Jr from New Girl and Silicon Valley’s T.J. Miller. The next Pixar movie, Inside Out (which sounds like a brilliantly original idea – another bonus), stars Amy Poehler of Parks and Recreation, Lewis Black from the Daily Show, Bill Hader from SNL and 2 former stars of the Office (U.S.). Even Dreamworks – who has been more star struck than others in the past – is releasing a movie next year with The Big Bang Theory’s Jim Parsons in the lead role. But the biggest point to note is the recent release of the outrageously popular Frozen. There is only one real celebrity in the cast, and while Kristen Bell has been in a few movies, she is hardly a movie star. To many people she is still Veronica Mars. Either way, it isn’t an ensemble cast of big names – but it just became the new highest grossing animated feature of all time reaching almost $1.3 BILLION in box office revenue! Of course these tv people are still very famous, and did/are certain to be doing their own voices, but the A-List seems to be shying away from these roles again. If the studios are paying attention, they may note that Frozen didn’t play on the fact that Kristen Bell was the star. I didn’t know until after I had seen the film. And it still did this well. You can only hope that it forces the studios to look for better scripts again. In fact, critically, two of the most lauded animated films of the last few years were Up and Wall-E. Neither of which had big celebrity voices to rely on, and in Wall-E’s case, no real voices at all. But they did have good stories. Funnily enough, both of those films grossed more than Aladdin. ** I am begrudgingly leaving Hook off this list. I love that movie. ^The distinct tones of Gilbert Gottfried as Iago. 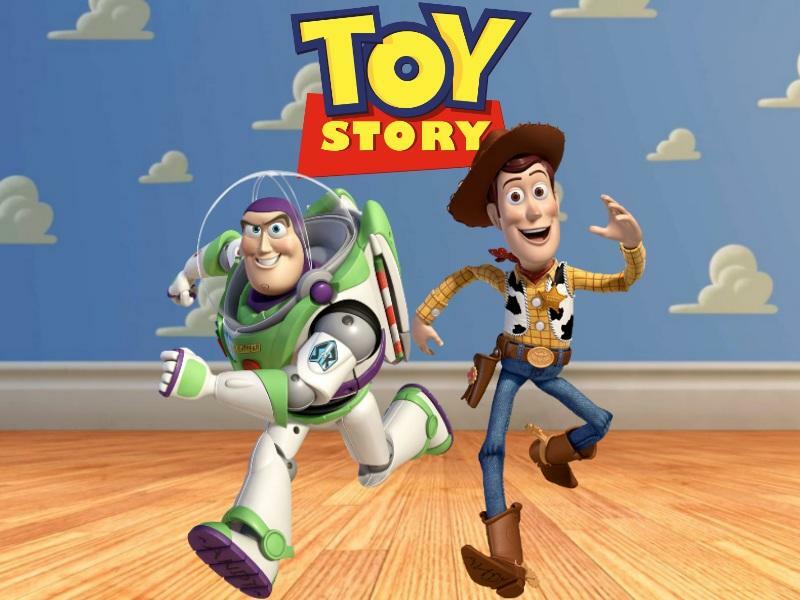 ^^A title that lasted for 16 years until Toy Story 3 broke the billion dollar barrier. ^^^Which I was relieved to read is not the sixth instalment of a franchise that I had completely missed somehow, but an original film in its own right.